When it comes to summer in Texas, it’s not exactly breaking news to say it gets really hot here. Fortunately, there’s no shortage of ways you can cool off in Georgetown. Dip your toes into the pristine waters of the San Gabriel River, go underground in a spectacular cave, and sample locally made craft beer and wine. Situated just north of Austin, Georgetown is home to the Most Beautiful Town Square in Texas and a Lone Star-sized serving of Hill Country charm. Read on to see why Georgetown should top your list of places to visit this summer. Unroll your beach towel, unpack your picnic lunch, and kick back in the shade as you watch waves caress the shoreline. While this sounds like a typical day on the beach, you don’t have to go to the Gulf Coast for this experience. Instead, head to Russell Park on the western coast of Lake Georgetown. Wade into the refreshingly cool water and take in the view of the limestone cliffs and tree-covered hills in the distance. Given the beach’s shallow waters, swimmers of all ages can cool off and have a great time here. You don’t even have to go very far for Georgetown’s other swimming hole, Blue Hole Park. 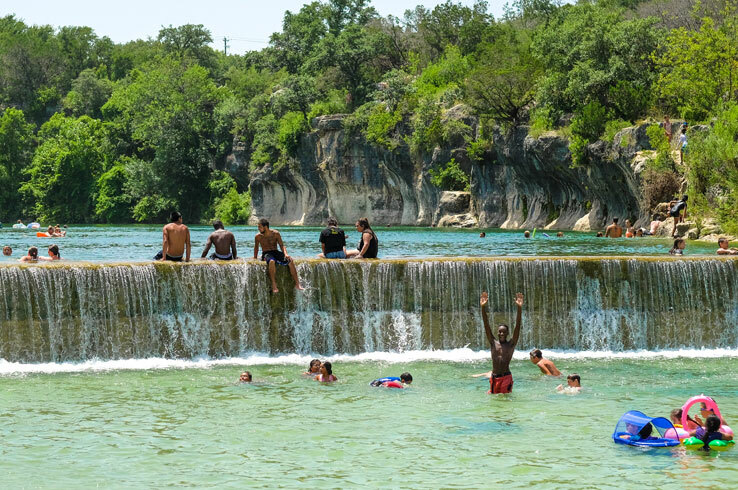 Chill out in the crystal-clear San Gabriel River as it trickles past bluffs and all the lush greenery. Swim, relax, and take a few photos. You’ll probably start feeling like you’re a world away from the hustle and bustle of the city, but Blue Hole Park is just a few minutes north of Downtown Georgetown. Since the park can get busy during the summer, try to get there as early as possible. Oh, and make sure to bring your sunscreen. The sun during a Texas summer day can make things downright steamy outside. What better way to escape the heat than by heading underground? 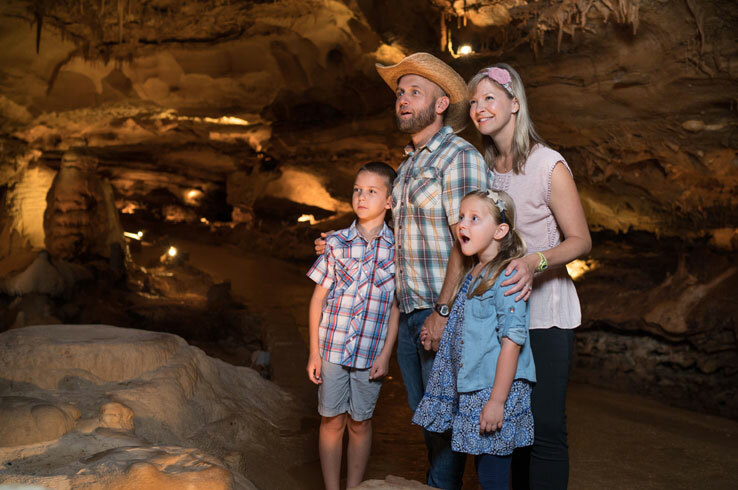 Descend into the breathtaking depths of Inner Space Cavern, one of the best preserved caves in Texas where the temperature is 72 degrees throughout the year. Enjoy the break from the summer sun as you traverse the cave on your choice of tours, ranging from the 1.5-hour Adventure Tour to the four-hour Wild Cave Tour that takes you to the undeveloped sections of the cave. Regardless of which tour you choose, you’ll get to see the spectacular forces of nature at work as you admire formations that decorate rooms carved by the flow of water over millions of years. Inner Space Cavern is a natural wonder worth exploring. Fortunately, you don’t have to go far to do so. The cave sits within three miles of downtown Georgetown, making it an underground oasis near the heart of town. There are few things better than a cold glass of a refreshing hefeweizen or a hoppy IPA on a hot day, especially when the beer is locally made (it just tastes better that way). A tantalizing variety of craft beers pour from the taps at Georgetown’s own Rentsch Brewery. Settle in to the austere taproom and order a pint of the brewery’s five main brews, including the rich and malty Rentsch IPA and the bold Rentsch Weizenbock. There’s a selection of seasonal beers to try as well, such as a bourbon barrel-aged Prussian imperial stout. 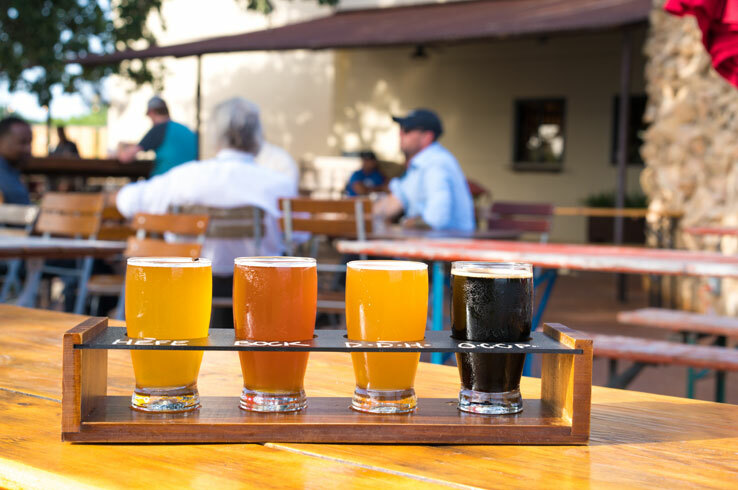 Hang out in the taproom until the setting sun cools things off a bit outside, then step out onto the outdoor patio and sip your beer in the shade of massive oak trees. Kick your feet up, relish a delicious beer and even better company, and watch as the summer sun sets on a great day in Georgetown. With more than 50 wineries, the Texas Hill Country is one of the top wine destinations in the country. 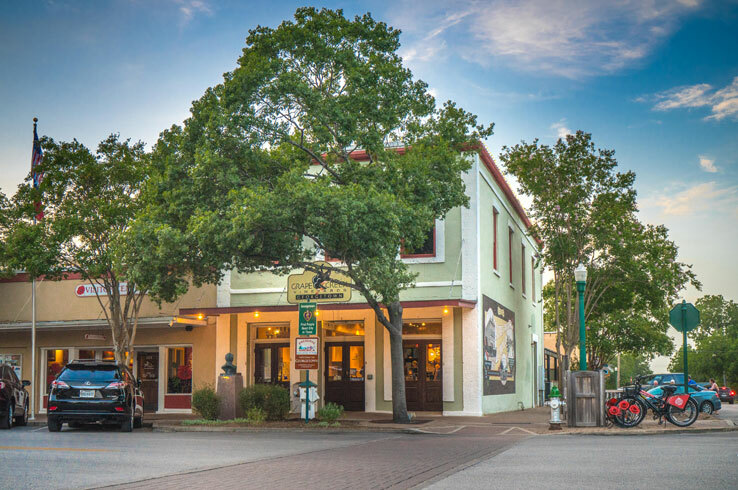 Get a taste for yourself, without even leaving Georgetown’s downtown square, when you visit Georgetown Winery and Fredericksburg-based Grape Creek Winery’s tasting room. Georgetown Winery, Williamson County’s first and most award-winning winery, offers a tantalizing variety of wines made with grapes grown here in Texas. From the smooth and crisp pinot grigio to the scrumptious chocolate cherry dessert wine, you’ll find what you’re craving here. Grape Creek Winery – Georgetown affords its fair share of wines as well, including red blends, rosés, and sweet options like a cabernet blanc. Fill your glass and go for a relaxing evening stroll through the downtown square, where you can admire all of the stunning architecture as you sip your delicious wine. With two spectacular wineries serving an array of reds and whites, Downtown Georgetown is a wine destination all its own. On Easter Sunday in 1923, 10 members of the Klu Klux Klan beat and tarred a white traveling salesman. Then Dan Moody stepped in. Moody successfully prosecuted five members of the KKK, the first time that had happened anywhere in the United States. Moody’s story is one of a long list of tales from Georgetown and Williamson County’s history. The Williamson Museum, located within the fetching The Farmers Bank Building, is a good place to start. Learn about the county’s history and its people as you browse a range of temporary and rotating exhibits. 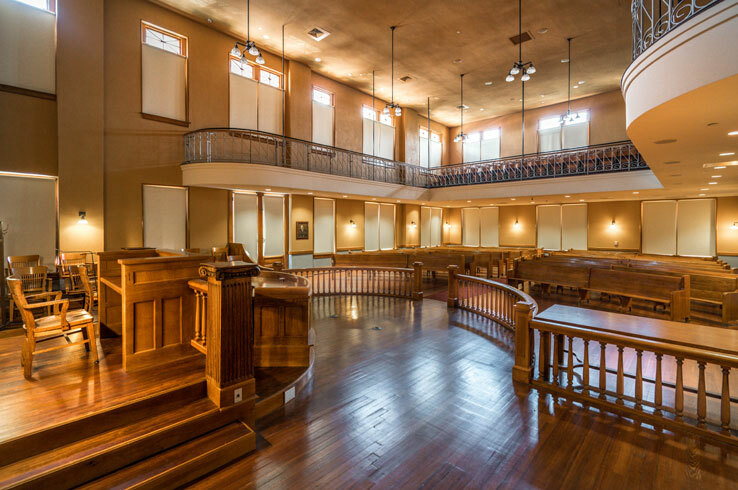 Then head across the street for a guided tour of the Williamson County Courthouse, a 45-minute exploration of local lore. Both places offer plenty to discover, as well as all the air conditioning you need. After all, this is summertime in Texas. 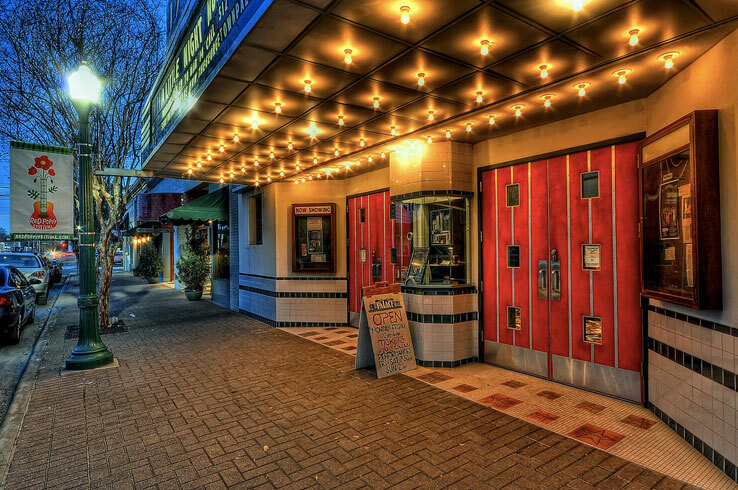 The Georgetown Palace Theatre’s gloriously art deco façade and old-fashioned box office make it one of the coolest-looking spots in the downtown area. Yet it’s also a great place to cool off in the summer. Throughout the season, the theater is a first-rate venue for productions of Broadway hits, musicals, and other performances. Shows are held in the early afternoon (the hottest time of the day) and in the evening. Tickets, and more information about upcoming performances, are available on the theater’s website. When it comes to Friday nights in Georgetown during the summer, make sure you’re in the downtown square for the Music on the Square Summer Concert Series. 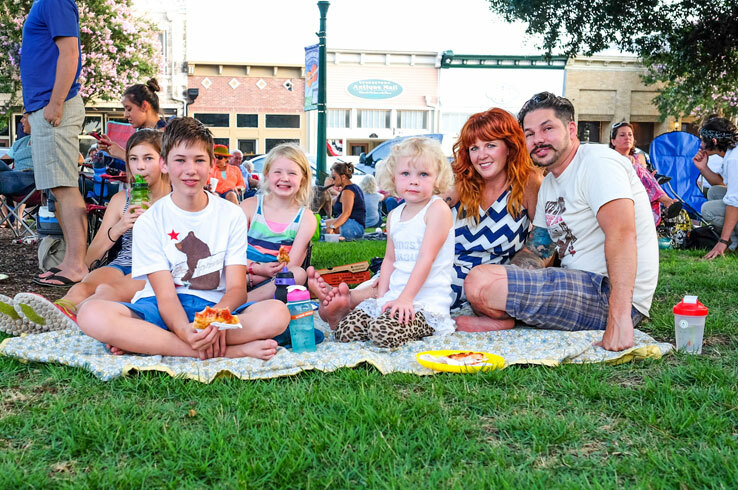 Find a spot on the lawn outside the Historic Williamson County Courthouse and listen to nearly two hours of country, pop, jazz, and other genres of music performed by top local musicians. Not only is this a great evening out, it’s a fine way to celebrate the start of the weekend. The series starts in the beginning of June and ends in August, and each show is free. See a schedule of upcoming shows here. Sometimes, it feels like summer won’t ever end here in Texas. Yet thanks to its unique attractions and urban sophistication, Georgetown is a one-of-a-kind place you can cool off during the hottest time of the year. Plan your visit here.